If you are looking for Dedicated Divorce Solicitors near Motherwell, please get in touch. Our main office is located in Uddingston and we would be happy to meet you at a convenient location/time. Alternatively, we can speak to you via FaceTime or Skype. Look no further for your Divorce Lawyer, get in touch today for Free Initial Consultation. Rooney Family Law are experienced professionals in dealing with all cases of ‘Family Law’ we are the here to take the stress and mental challenge out of divorce proceedings and make sure you understand your rights and we are here to fight your case and to make sure you get what you deserve in the conclusion of any separation. We offer clear facts and information for you to use and our expert team of Solicitors and Divorce Lawyers are at your disposal whenever you need ‘Rooney Family Law’ we are here to help you and your family. We operate and cover the district of Motherwell and surrounding areas. One of our Divorce Lawyers can come out and visit you and explain to you what we can do for you and the services we provide they will also take into consideration your own individual case and advise accordingly what is best for you and your family – to help with this we offer a Free Initial Consultation to all of our clients and the families we represent. Should you be worried or unsure about anything get in touch and we will guide you through the options available, we are here to help you and make everything as simple and stress less as possible as we understand it can be a difficult time for both the individual and the family during such matters. We know and understand the law and especially family law and the laws of divorce and separation – we offer financial protection and sound advice in order for you to make the right and decisive decisions. We offer competitive rates and prices throughout the Motherwell area ensuring you have the right support and dedicated expert assigned to your individual case. 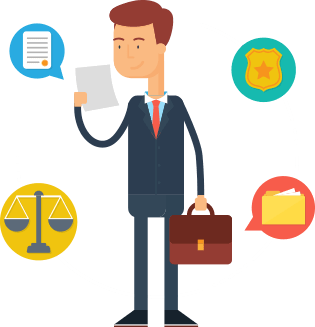 Our Clients are important to us and we treat everyone will our full and frank honesty, dedication and discretion – based on their own unique case and circumstances.